Peyton and I do nearly everything together. It’s just the two of us, so whenever we are home she tends to stick close by. One of our favorite things to do together is to color. Ever since she has been able to hold a crayon she has loved coloring. I discovered my love for coloring while spending time with Peyton coloring. But I wanted more than coloring a children’s book. Peyton likes to copy everything I do so when we tried using adult coloring books she would become frustrated because they took forever and were extremely intricate. Let’s Color Together is the first shareable coloring book for adults and kids. It’s unlike any coloring book we’ve ever used before. Inside Let’s Color Together you will find two pages for each design. One is intricate with lots of detail for the adult to color. The second page is a simple design similar the adult version. So, Peyton gets to color the same idea as me just without as much detail. It’s a win-win. We took Let’s Color Together with us on our camping trip a few weeks ago. Just in case we had some down time I thought it would be nice to sit at the picnic table and color together for a little while. Good thing I brought it with, we ended up stuck in our tent for the evening when a severe storm passed through. Luckily, I had a bunch of flashlights, snacks, the Let’s Color Together book, colored pencils and a computer to watch a movie on. 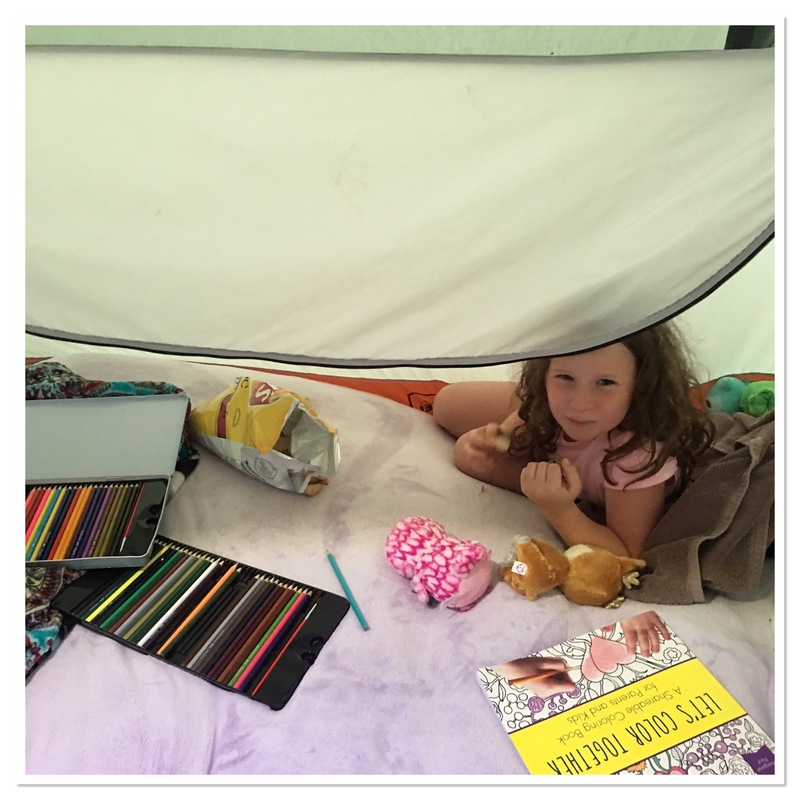 We settled in our tent, set up our coloring area and waited for the storm to pass. I really enjoyed spending time with Peyton coloring. We both started coloring a teapot. 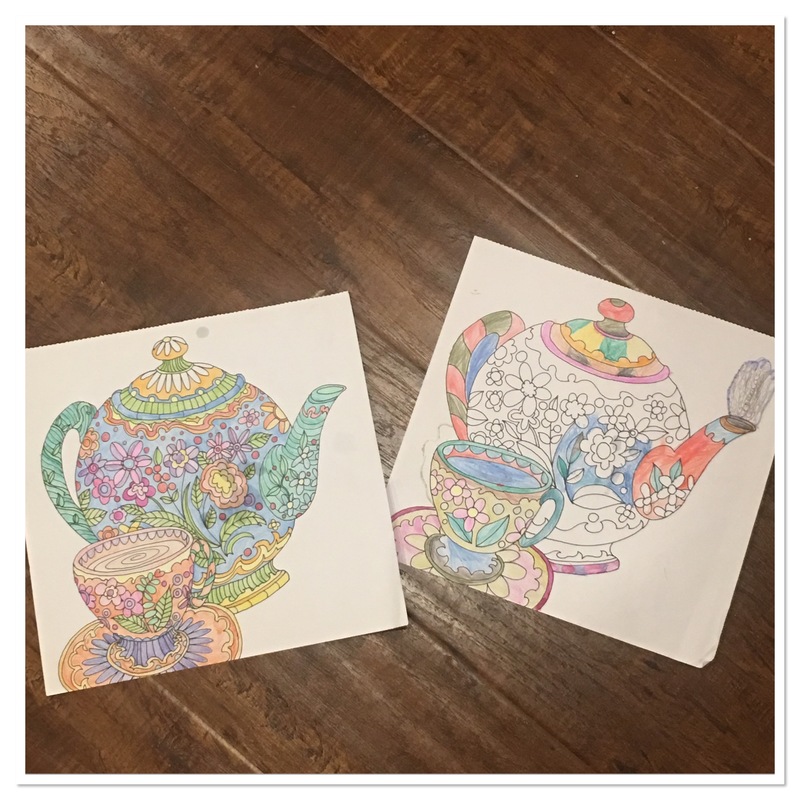 It was fun to see what colors Peyton chose to use on her teapot compared to mine. By the time the storm passed, Peyton had passed out but I had finished my teapot! 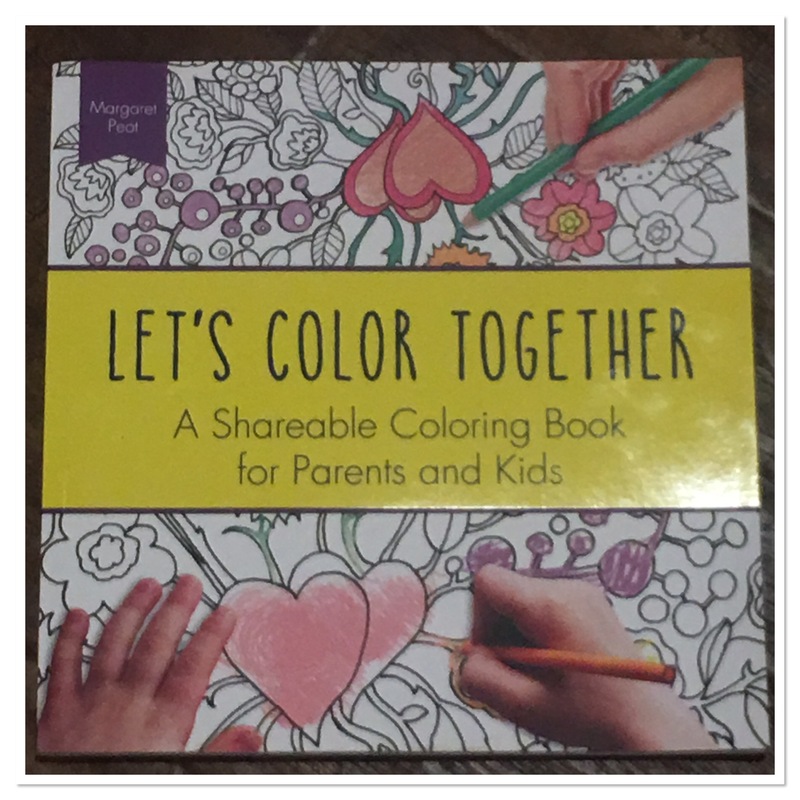 You can purchase your own copy of Let’s Color Together online or look for it at your local retailer.